LOIS JANE (MAREK) GARRETT left this earth to be with her Lord and Savior at 12:57 AM on Friday, Oct. 26th. She had been wonderfully taken care of by the staff of The Villa (a hospice care facility in Mesa). Lois had many visitors in her final days, including her husband Harry S. Garrett, friends and students from her teaching days. Lois was born May 9, 1938 in Sidney, Nebraska. She lived in Lodgepole, Nebraska through high school. She was very proud of her little town and enjoyed explaining how Lodgepole got its name. College was next in her life and she appreciated her four years at Nebraska Wesleyan University in Lincoln, Nebraska. 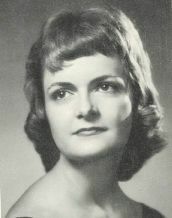 Lois spent three years in her home state teaching choral music in Potter, Nebraska. A decision was made by she and her husband to move to a warmer state after they experienced rain, sleet, snow and hail on one day, May 15, 1961. ARIZONA was to be home for the rest of her life. Lois completed her Masters of Music degree at Eastern New Mexico University in Portales, New Mexico. Lois taught at Carson Jr. High. She helped design the Powell Jr. High School and Taylor Jr/ High School music facilities. Lois loved teaching choral music to junior high school students. In return they have shown their affection for their teacher in many ways for years. Lois was the children’s choir director at First United Methodist Church, Trinity Baptist Church and Desert View Baptist Church. She was a “teacher” in these settings of music and her love of her Lord, Jesus Christ. After she retired for the fourth time she kept the Garrett Music Studio open till just a few days before she went to Banner Desert Hospital. Besides teaching music Lois had a love of performing in opera and musicals such as “Kiss Me Kate”, “Oklahoma”, “Bells Are Ringing”, “My Fair Lady”, “The Merry Widow”, “The Desert Song” and “Babes in Toyland”. During college she also sang in several operas. 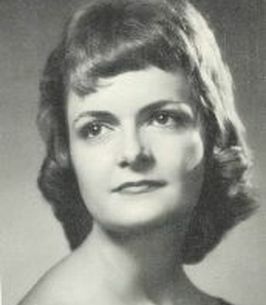 At the conclusion of her senior year Lois flew to Minneapolis to audition for the Metropolitan Opera. Lois was praised highly by the judging panel. Because of her young age they felt she needed to have two years of coaching from a master teacher and two to three years of experience in the European opera scene. BUT she had to decide between an opera career and teaching music to junior high students. She chose the junior high age students and never looked back. Lois loved to travel. She and Harry became addicted to cruising. Somewhere between 25 and 30 trips on the ocean or rivers in many parts of the world. Favorite trip was perhaps the cruise to the Antarctica. Lois and Harry teased that they were going on a mission trip to baptize penguins. Awards were many for Lois but the most important reward was the success of her students. She was successful in schools, churches and in her private studio. Lois was filled with a great love that she shared with her students, friends, four dogs ( Teddy, Missy, Princess, and finally Joy Jane). Did Lois love her husband, Harry? Without question for every minute that they shared in this life. Harry knew he loved Lois but he didn’t know how much until he had to call the paramedics on Sepemeber 15th. A FAMILY SERVICE will be held on Friday evening, Nov. 9th at 7:00 PM at Christ’s Greenfield Lutheran Church and School in Gilbert, AZ. The COMMUNITY SERVICE will be held on Saturday morning, Nov. 10th at 9:00 AM at Trinity Church, 2130 E. University Dr. in Mesa, AZ. Donations appreciated to Trinity Church for the children’s program and to Christ’s Greenfield Lutheran Church& School to the high school program as they will be traveling out of state next summer to a conference. Check with each church for donation details. To send flowers to the family of Lois Jane Garrett, please visit our Heartfelt Sympathies Store. Lois Garrett was a gracious woman who is missed by all who had the good fortune to know her, and I pray that the Lord assuages Harry's grief until they are reunited. Harry and Lois have been true servants of Jesus Christ in meeting the needs of humanity!